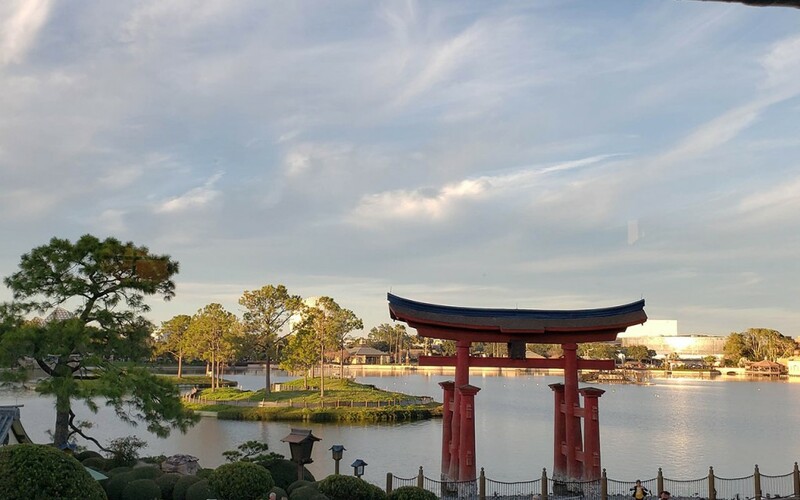 We love visiting Epcot at Walt Disney World and exploring the pavilions in World Showcase is one of our favorite ways to spend a Disney Day. 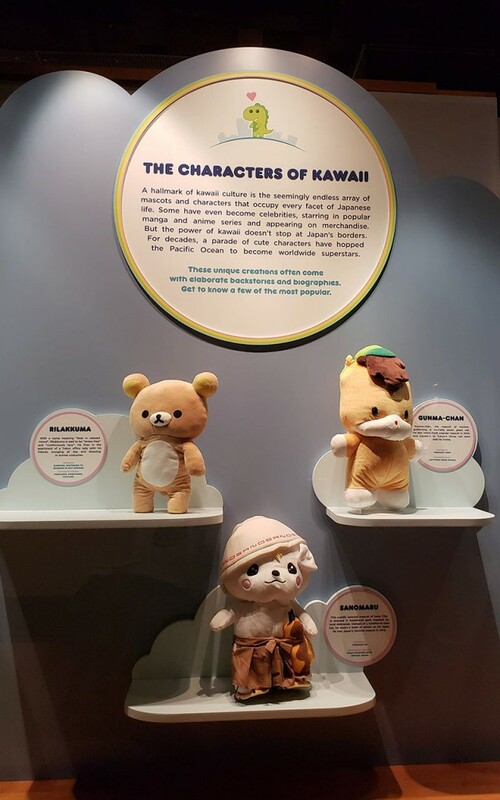 In this post, I will share some photos from experiences we have had in the Japan Pavilion. 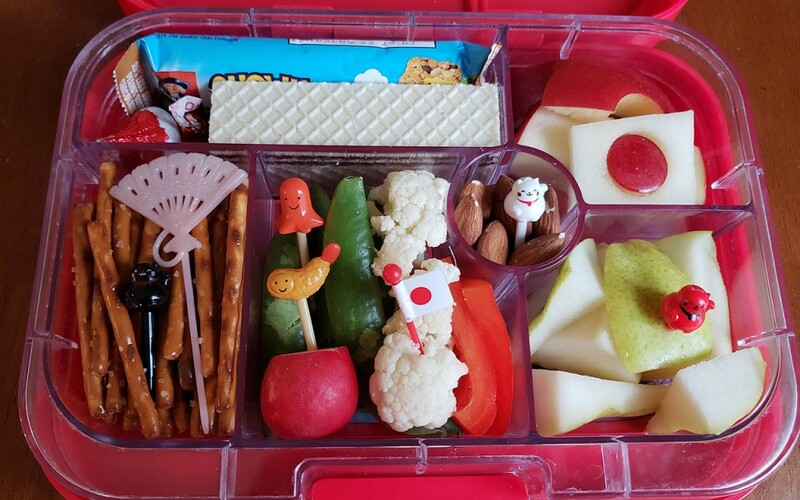 I will also share Japan themed lunches I packed for school lunches as well as a Japanese style meal I often make for supper. 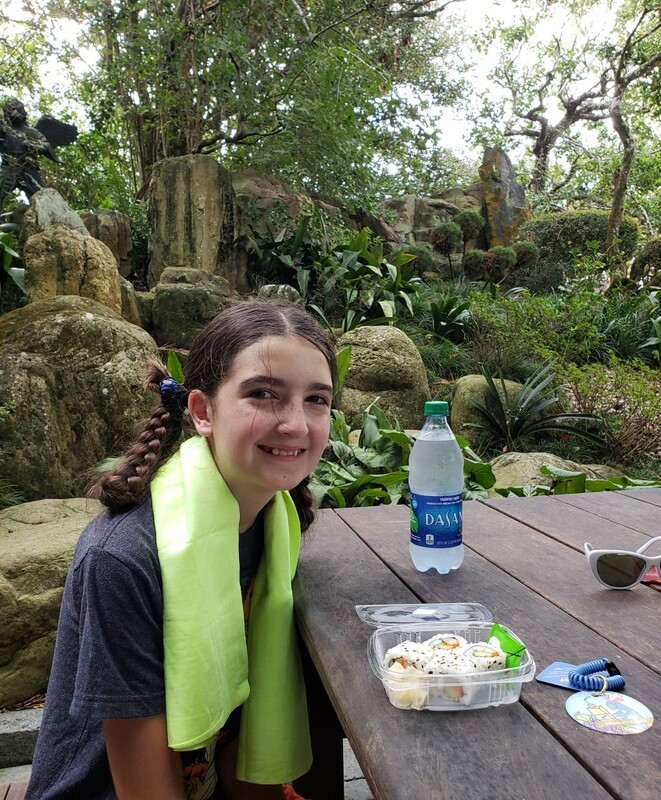 On a recent trip, we ate a late lunch at Tokyo Dining in the Japan Pavilion. We lucked up and got a window table in the corner of the restaurant which we loved because we had excellent views of the pavilion. Below are two pictures taken from our table. This meal was during the festival of the holidays so we were able to look out the window and watch the Japanese Storyteller below this shrine. 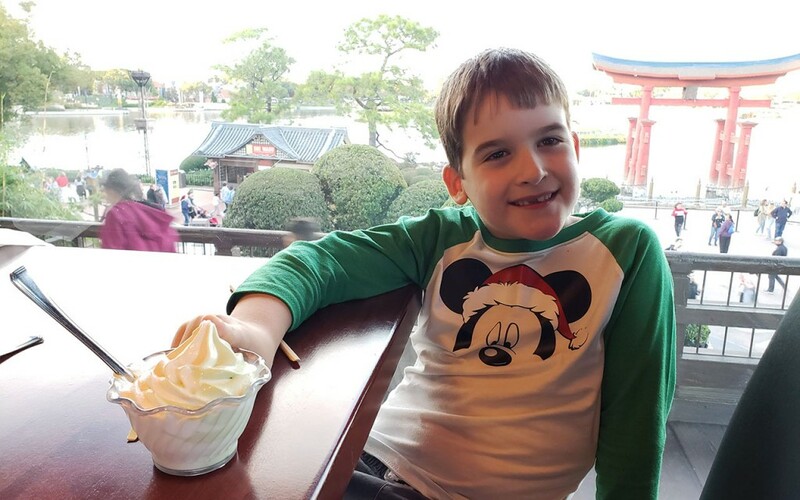 Our kids enjoy trying different restaurants and foods while on vacation. We find that they are willing to be more adventurous and willingly try new things when on a trip. They are generally fans of various Asian foods and always like rice so they were excited to eat at Tokyo Dining. 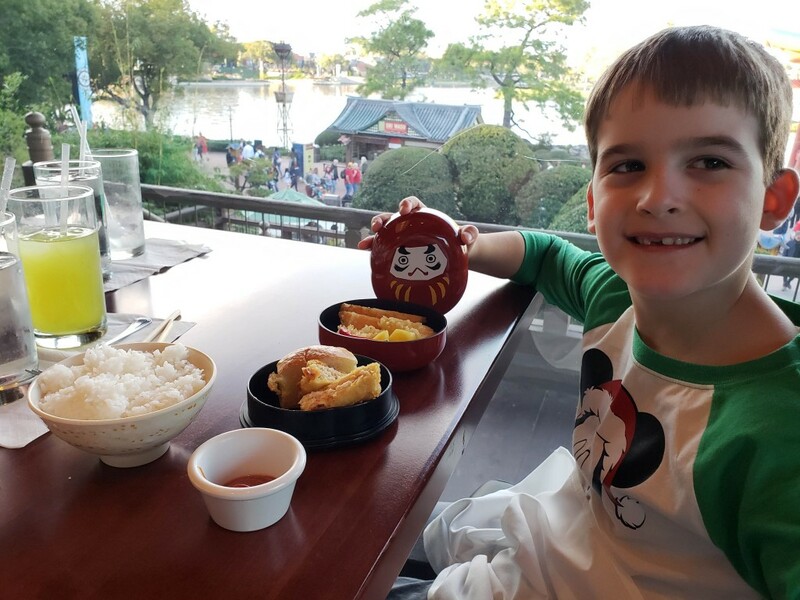 My son was thrilled to see that his food was served in a lidded bento box! 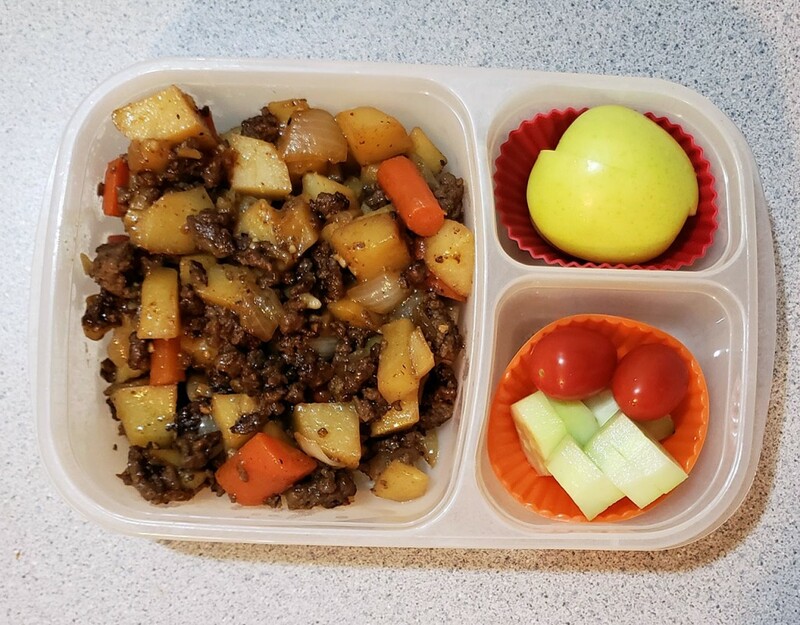 He is familiar with these because of my bento box collection for lunch packing, but he had never seen one in use elsewhere so this was a fun surprise. 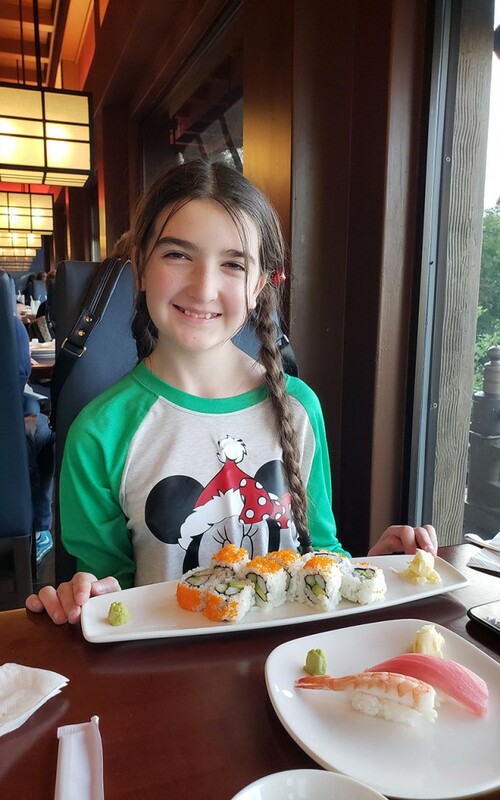 My daughter loves sushi so she knew exactly what she wanted to order. She really enjoyed her food at this restaurant. 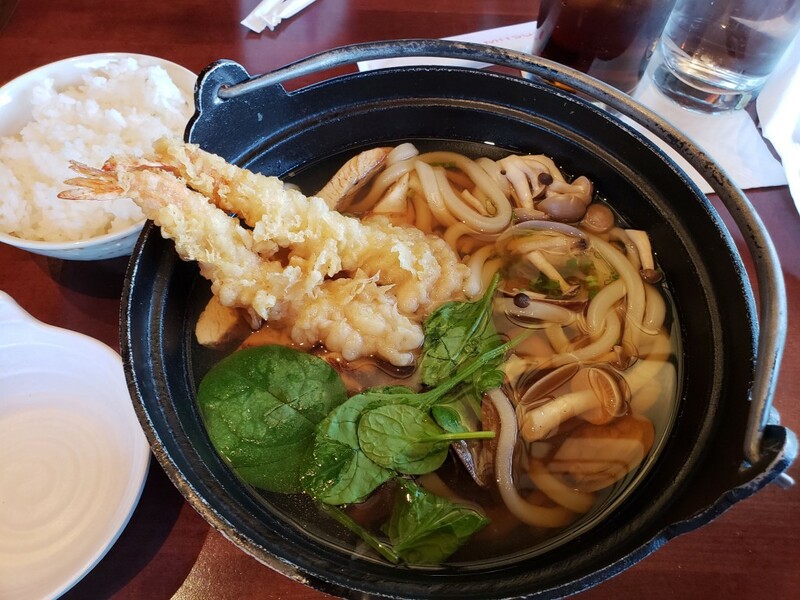 My husband also ordered sushi, but I wanted to try something different than I had before in other places so I ordered the ramen bowl with shrimp tempura. This was a huge serving and the food was very good. The mushrooms were excellent. After eating, we went to explore the current exhibit in the pavilion’s museum. 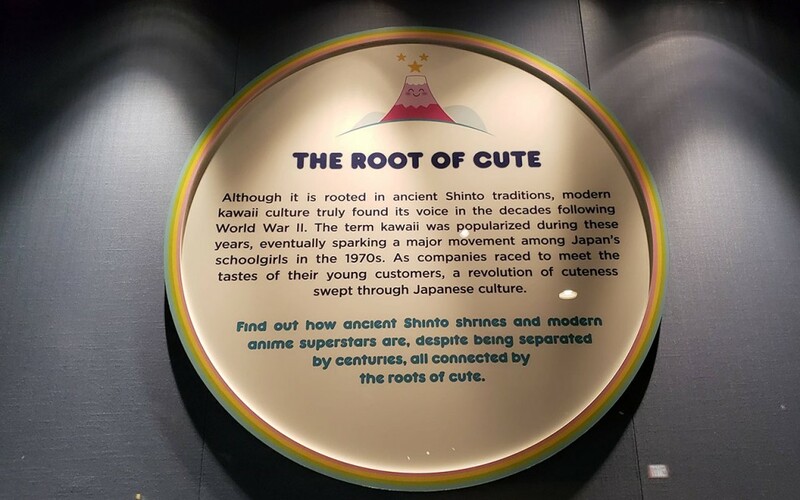 It features Kawaii culture. 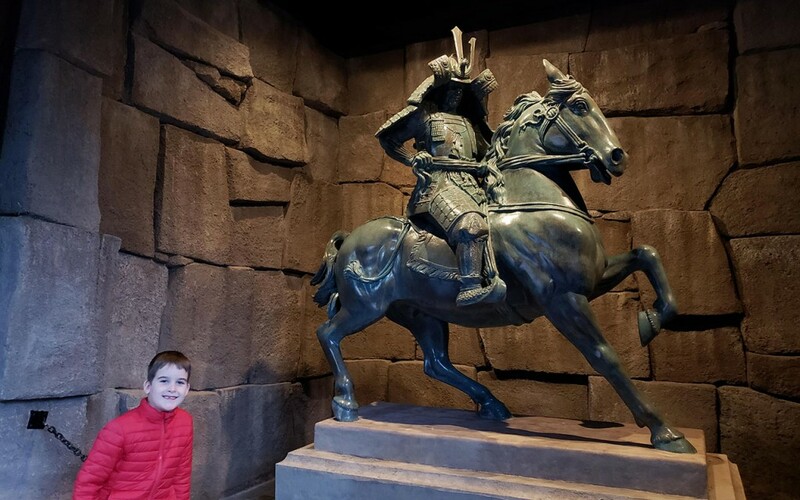 My son was very excited about this because he has a friend at school who also likes learning about Japan. The two of them have spent lots of time together talking about Japanese characters and all things cute in Japanese pop culture. They have also read this book together. 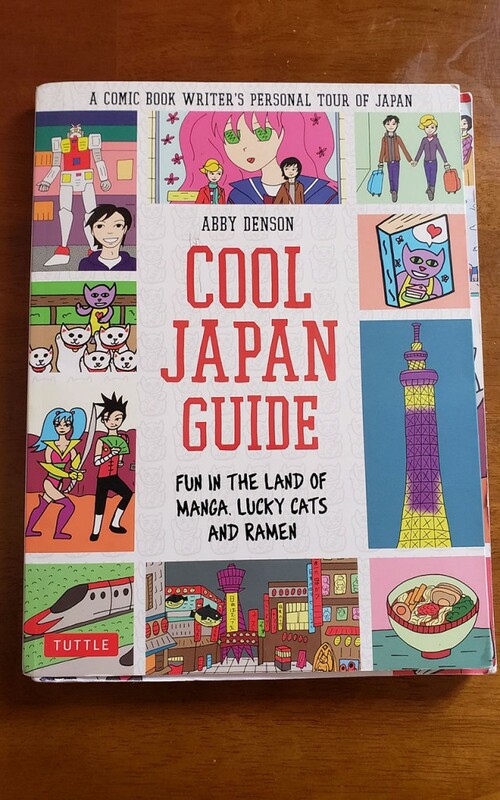 The book is called Cool Japan Guide. It is created with a series of comics describing how and when to plan a trip to Japan, what to expect when you arrive in Japan, and main sights you may want to visit in Japan. 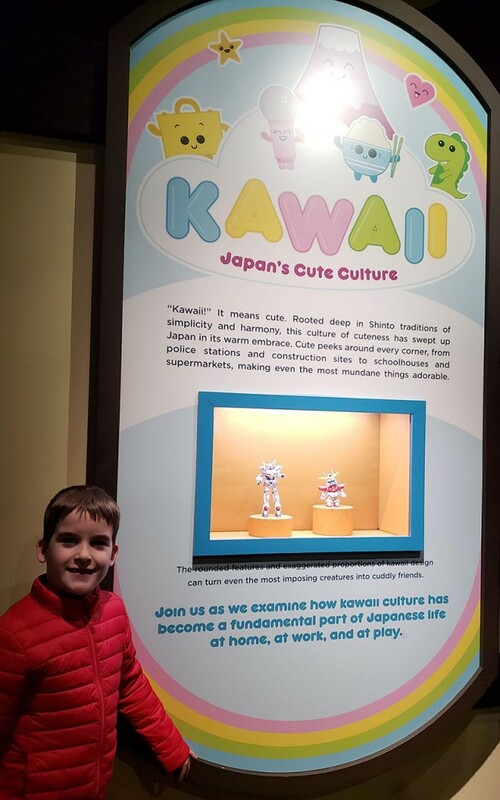 They had lots of fun enjoying this book together so my son wanted me to take lots of pictures of him with the museum displays of Kawaii culture so he could show the pictures to his friend. We took this picture outside of the museum. My son liked it because he dressed as a Samurai this past Halloween. During the Festival of the Holidays, we tried the yule log from the Japanese booth. 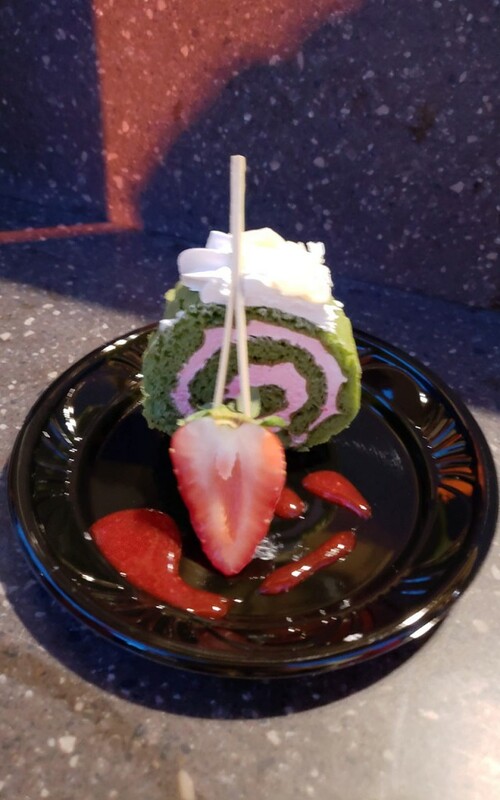 It was supposed to have some matcha and green tea flavor in the cake, but we mostly tasted the strawberry whipped cream. No matter the flavor, it was good and gone quickly when split four ways. 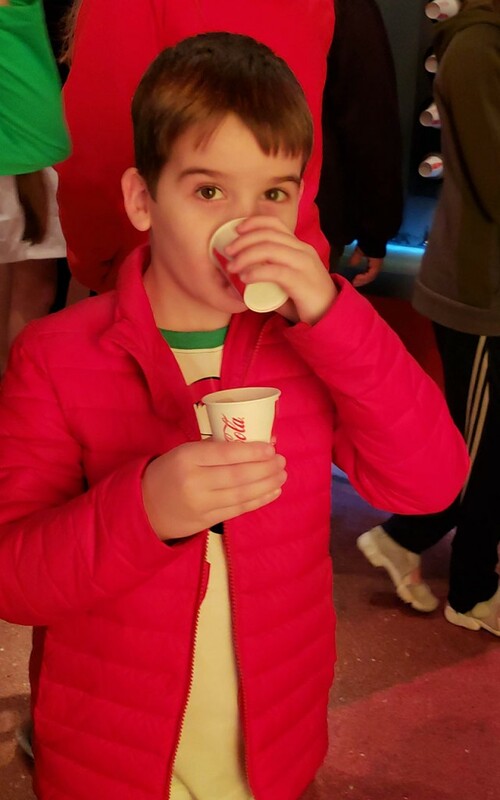 On every Epcot trip, we have to stop at Club Cool at least once to try versions of Coca-Cola from around the world. The one from Japan is one of my son’s top two favorites. Our daughter loves to get a sushi tray from the booth that sells shaved ice. There’s a quiet little bamboo and tree-lined area behind another restaurant called Katsura Grill where she likes to sit to enjoy her sushi. 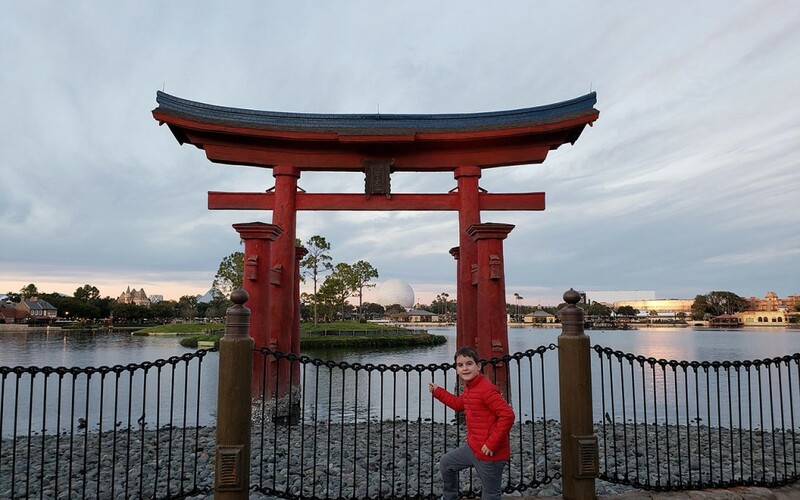 On our second trip to Walt Disney World as a family, one of our planned priorities was to visit the Japan pavilion so our kids could choose an oyster to see if they could find a pearl. 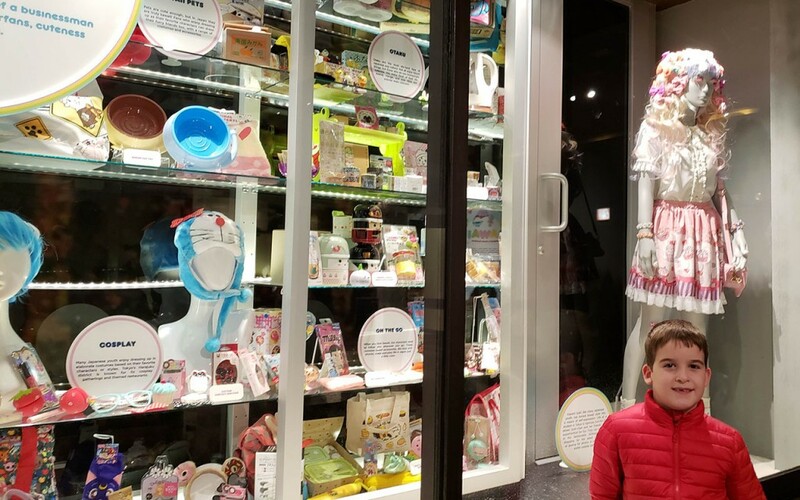 This activity is available in the lower level of the Mitsukoshi building. Our kids loved this experience and still often get out their pearls to look at them and talk about that trip. We loved how the Cast Member leading the activity took time with them, was so positive, and took time to teach them a few Japanese words. They still remember those words and laugh about learning them. Video of our pick a pearl experience is below. Recently, we had a week of school lunches featuring various countries we would like to visit. We started that week with a lunch themed with some icons of Japan. My daughter’s lunch is below. 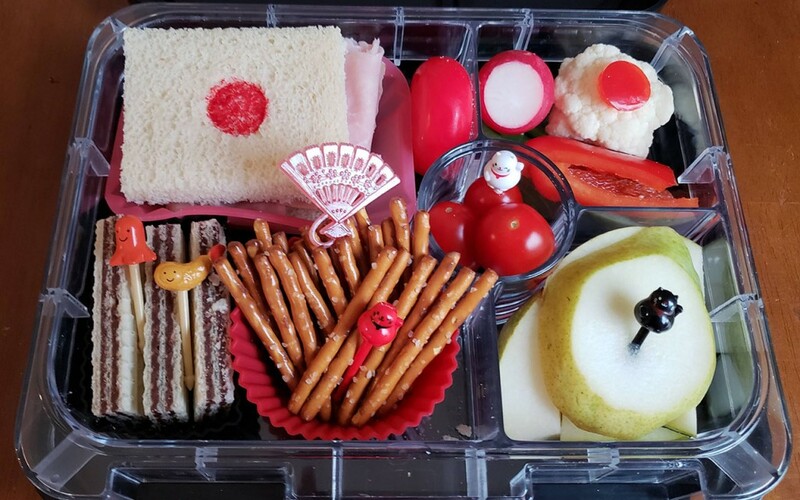 She had a sandwich decorated as a Japanese flag, picks representing a hot dog octupus (often a feature of bento boxes) and shrimp tempura, a fan, and several lucky cat picks. 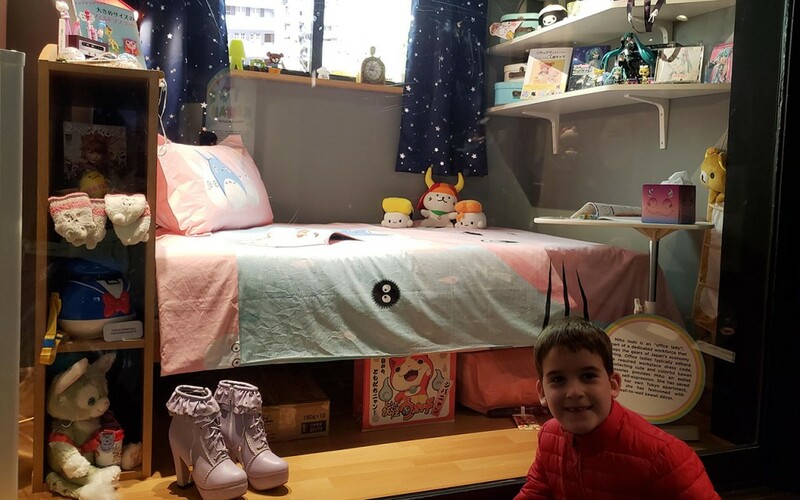 My daughter bought a couple of small, inexpensive lucky cats during her last visit to the Japan Pavilion in Epcot so she really thought these lucky cat picks were cute. My son’s lunch had similar features, but since he doesn’t eat sandwiches, I made his flag out of apple. He also “claimed” the flag pick when he saw it on the counter and noticed that I only had one. 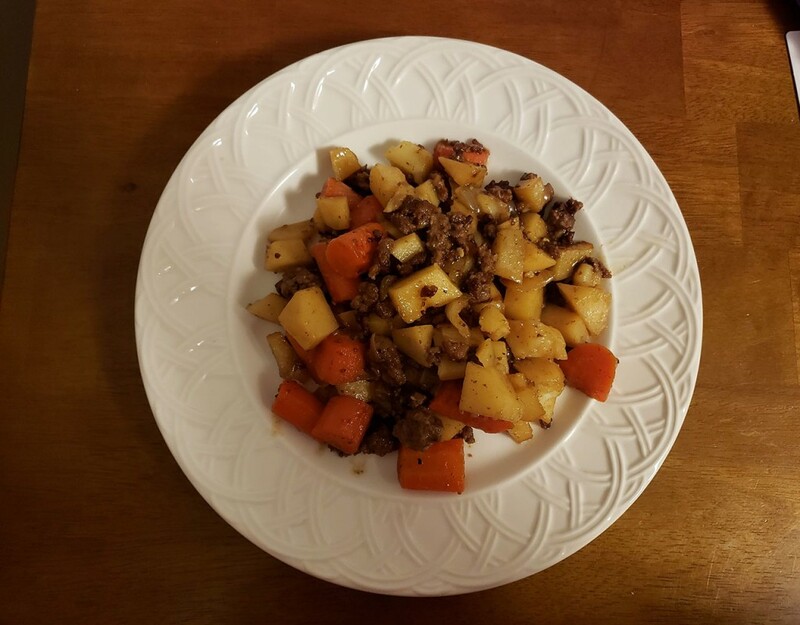 I will end this post by sharing a Japanese-style meat and potatoes meal that I make fairly frequently, especially when my dad is coming for supper. 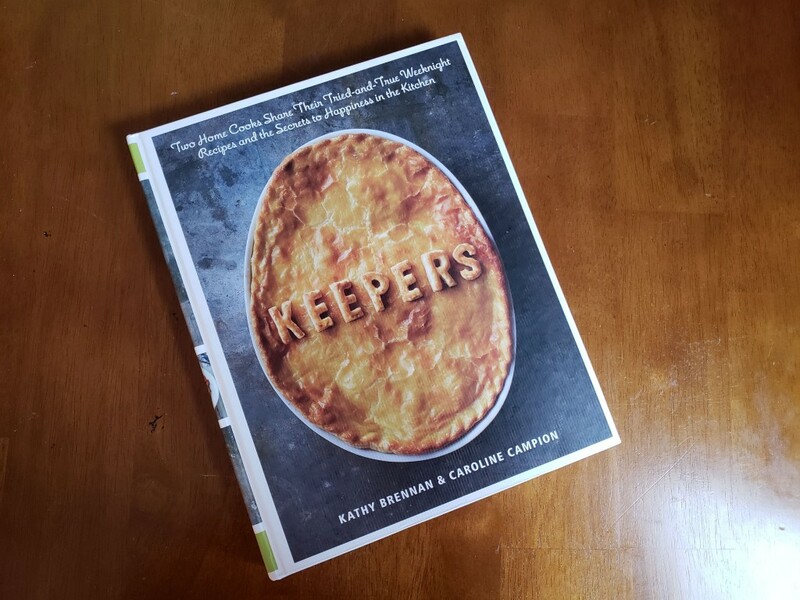 It is from a cookbook called Keepers that I really like for finding weeknight meals. I have made this many, many times. 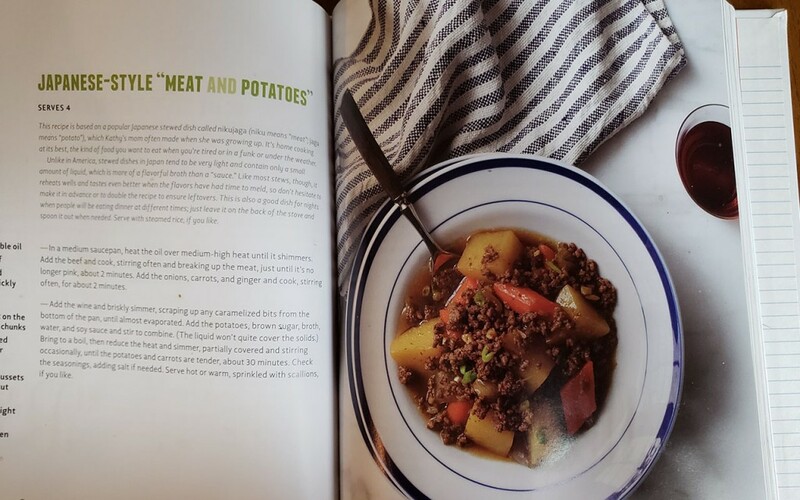 It is great for anyone who likes a meat and potatoes style meal. It is fairly quick to make. The soy, ginger, brown sugar, and broth used to make the sauce create a dish packed with flavor. Plus, it’s easy to deconstruct; I serve my kids a plain hamburger with raw carrots and other fruits/veggies on nights I make this for adults. Here is a plateful of the meal on a recent night I cooked it. This dish also keeps well, so I make extra and pack some in our EasyLunchboxes for my dad to take home. Thanks for reading. 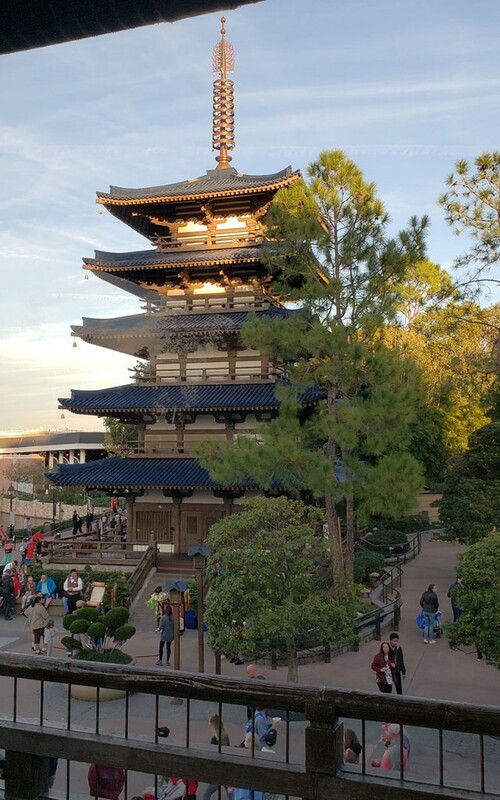 I hope you enjoyed seeing some of our memories from the Japan pavilion in Epcot. 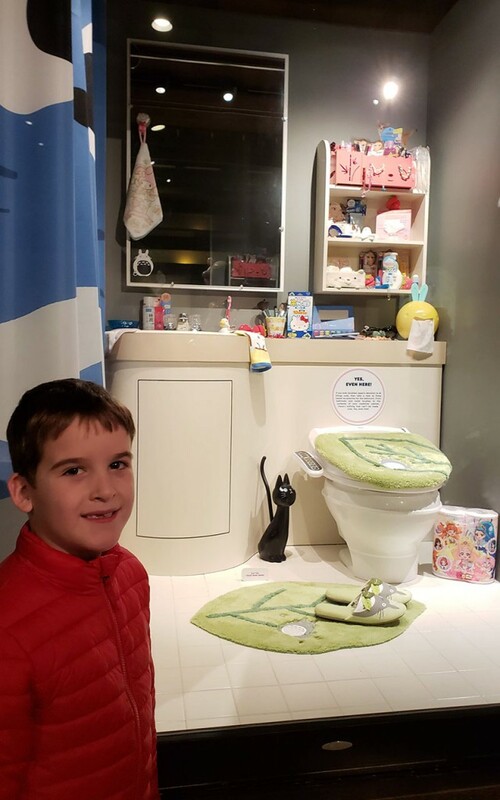 One day we hope to take a trip to Japan, but for now we will enjoy making more memories learning about Japan from home.